Christmas is on our radar! We've done our tricking and our treating, we've worn our crazy zombie makeup and have had our Reese's coma! I went out and bought all of the supplies I will need to make our family Christmas gifts, and I have literally started making our cards. Do you have special plans to make for a unique Christmas this year? I have a little surprise up my sleeve for the ladies of our family! First I'm excited about Thanksgiving, I'm cooking this year! And then Christmas! 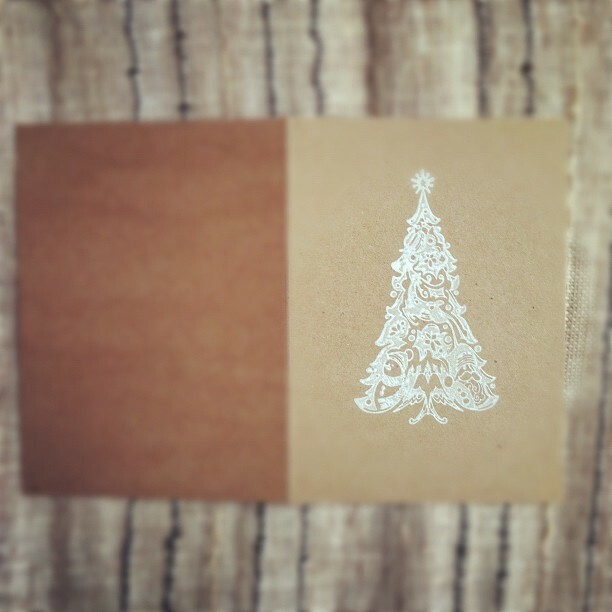 I love Christmas cards and will probably start them during my turkey coma on Friday the 23rd. And I have a project in mind for my parents! Cheers for a homemade Christmas! Oh you are!? I think I will be, too! I'm really nervous about it, though! I have never had to do Thanksgiving by myself! My mom doesn't cook and chances are we won't be spending time with Adam's family since they will be busy with their hotel/restaurant they run. Christmas cards are my favorite! We should do a card exchange!